Photo: Misterfeldt Home Place (Henry Misterfeldt House), ca. 1886, 1101 Old Highway 49 South, Richland, MS. Listed on the National Register of Historic Places in 1986. 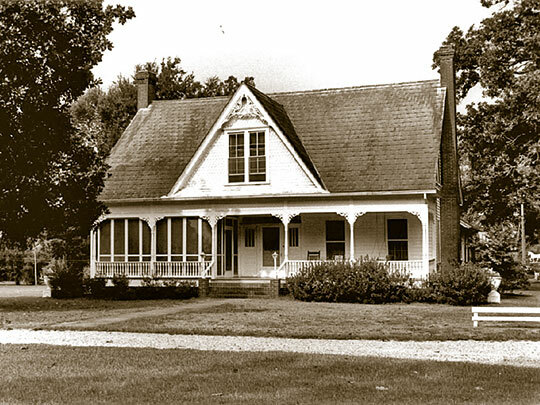 Photograph by Lester Spell, Jr., 1986, for nomination document, The Misterfeldt Home Place, NR# 86003496, National Park Service, National Register of Historic Places. Rankin County administrative offices are located at 211 East Government Street, Brandon, MS 39042; phone: 601-825-1475. Rankin County was established in 1828. The Rankin County Courthouse was designed by Noah Webster Overstreet, St. [1888-1973]. Webster was one of Mississippi's most notable and prolific architects whose work consists primarily of institutional projects.